So, today's card is a quick and easy one to share! I used the Painted with Love Dsp as the back drop and stamped on a piece of Vellum paper. 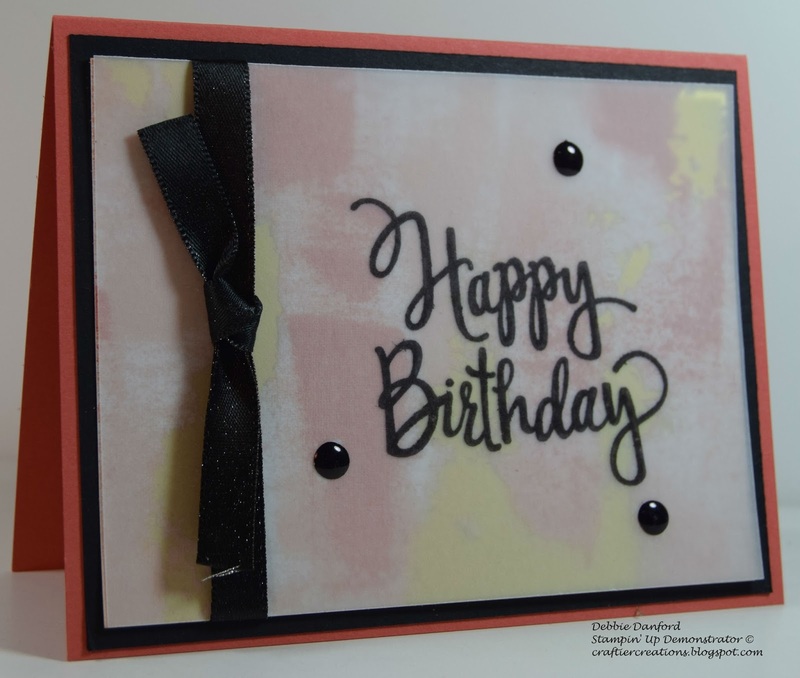 On Vellum, stamp the Stylized Birthday Stamp with Archival Basic Black. Let it dry completely before doing anything with it, or it will smear. 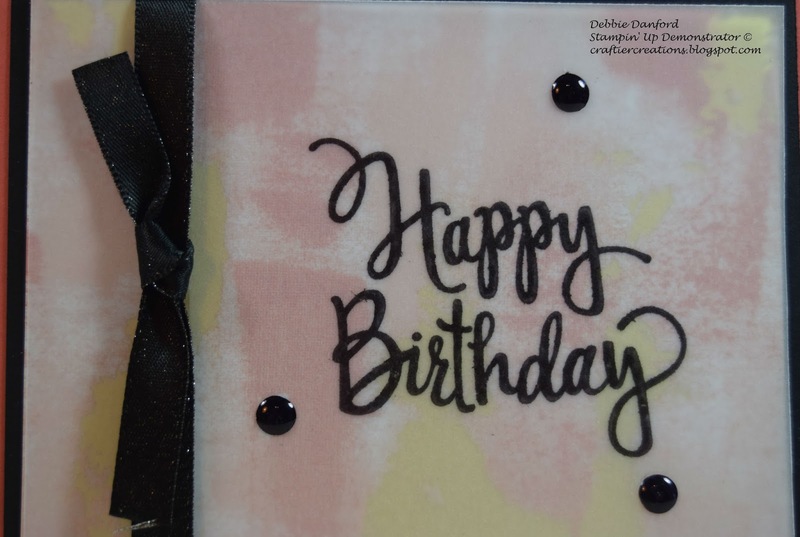 To attach the Vellum to the DSP I put glue dots behind the black bling and the ribbon. Attach ribbon and attach layers.